Volk Racing GTU are JDM Wheels targetted towards the USDM Market. 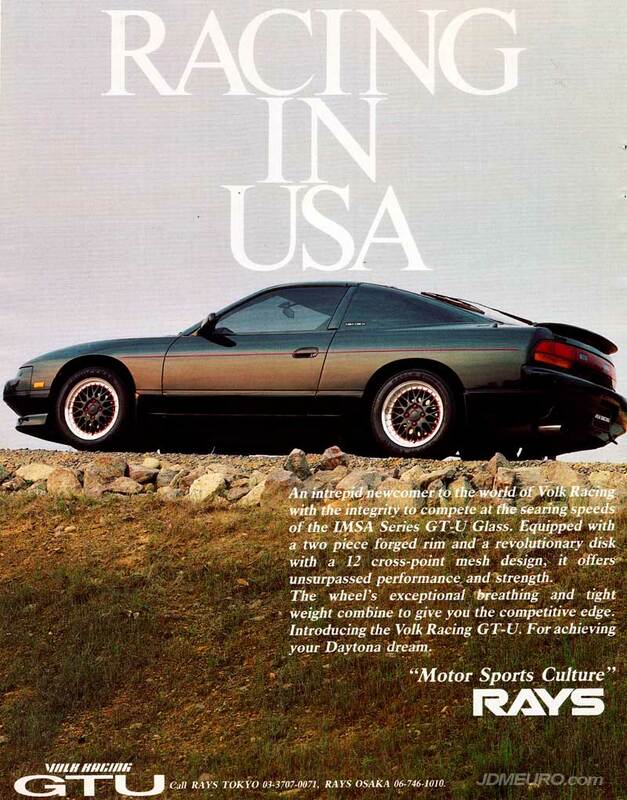 As the wording on the ad suggests, these JDM Wheels are named for the IMSA GT-U Class, an American racing series. The Volk Racing GTU are 2 piece wheels with a mesh face. Pictured are the Volk Racing GTU on an S13 series Niissan 180SX.